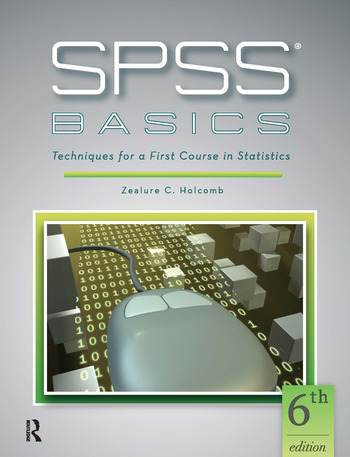 This text takes the guesswork out of using SPSS, with screenshots that show each step for calculating each statistic. It includes extensive coverage of how to format raw SPSS output for inclusion in research reports. End-of-chapter exercises help students master their newly acquired skills. An instructor’s answer key will be included with each complimentary examination copy. New to this edition: This edition includes an abundance of instructional screenshots, all of which have been updated to reflect the new look of IBM SPSS Statistics Version 23. Instructor ancillaries that accompany this text include PowerPoints for classroom instruction, and test banks in text format and importable to Respondus.